This is an elegant Christmas card that puts the magic of the holiday season on full display. A white tree ornament dominates the center of the image, and its intricate design lays nicely against the dark blue background. A slight gradient surrounds the sphere to provide a glowing effect. 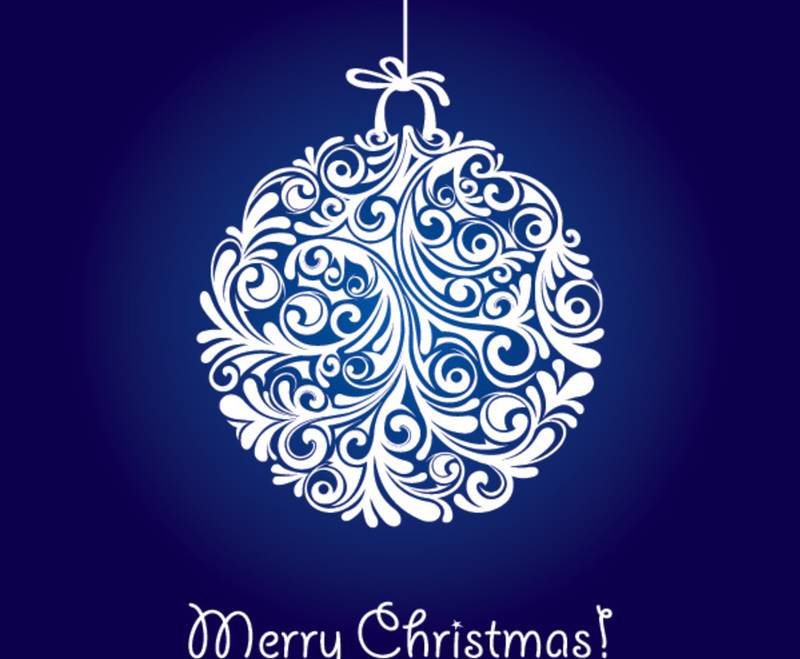 The lower third of the graphic shows your text in a large, fun font; you can replace the simple "Merry Christmas!" message to add your own festive touch. While this graphic was primarily designed as a Christmas card, it also works well as a dedicated element or a standalone image on a website.